A flash drive is a device which can covertly record audio. The digital audio recorder built onto a USB thumb drive can be attached with your keychain. 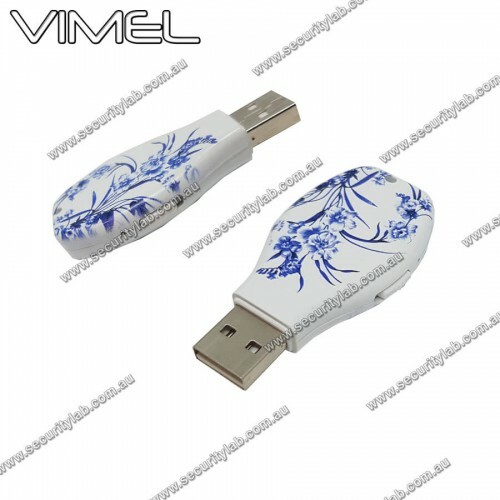 Vimel USB Flash Drive is a hidden mini voice recorder and it is cost-effective. This USB flash drive can be used when you want to record a conversation in a meeting or record the lecture. It acts as both USB drive and voice recorder. It is easy to carry so that it can be taken with you anywhere. It stores the audio recording and files can also be stored. This will be helpful for students and business person. This drive has a voice activation function which activates itself when the conversation begins. It provides a high quality of the recording. Even the unclear sounds, low volume audios are recorded. This USB drive is capable of recording continuously for 10 hours. It records the file format in WAV format. It has 8 GB memory. The dimension of this USB is 60 x 15mm and it can be inserted in the computer. Business professionals can save time by recording specific notes, points, memos which can be transferred later for further use. These audios can be stored as hard copies and files. Voice recorders are used for the official purpose, learning, and legal recordings. Meetings, conference and also judicial proceedings can also use these recordings for their works.